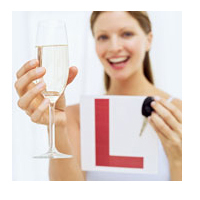 Explore your limits and last free pass to freedom with an L Plate hen party theme! In a sense, you can learn certain things you need to learn before getting married on your last night of freedom. So, wear that L badge of learning with pride and start the festivities! You can easily find lots of accessories, decorations, and L plates for your L Plate themed hen party on our online store. There are lots of ways to wear that L plate. So, start thinking out of the box and make that L Plate hen party happen with our help!